Open yourself up to the challenge of a diagnosis to understand the role of Alzheimer’s in your own spiritual growth. Caregivers often ask me about dealing with an Alzheimer’s diagnosis, and while it’s important to understand memory disorders clinically, it’s even more important to understand the role of this diagnosis in your own spiritual growth. The science of medical research will only see the patient, as it should, through the more impartial eye of specialist wearing a lab coat. I encourage you to also treat the disease with the intelligence of the heart, supported by whatever knowledge is historically available: even if we already had a breakthrough cure for Alzheimer’s, you’d still have to deal with the diagnosis, which shakes up your bearings, and puts you on the spot: will I be able to love my parent unconditionally wherever Alzheimer’s takes us? “For better or worse, in sickness and in health” should be a vow for everyone, not just wedded couples. Alzheimer’s is not a “they” disease: it’s an “us” disease, and affects an entire family’s grounding. Everyone needs to rise up to love — including the community that surrounds an Alzheimer’s family. It takes a village. Becoming a parent to our parents is, in fact, like having a baby. There are sleepless nights, diaper changes and feedings of mushy food. We prepare to have babies, but we don’t prepare to have parents — yet we’ve always had parents. 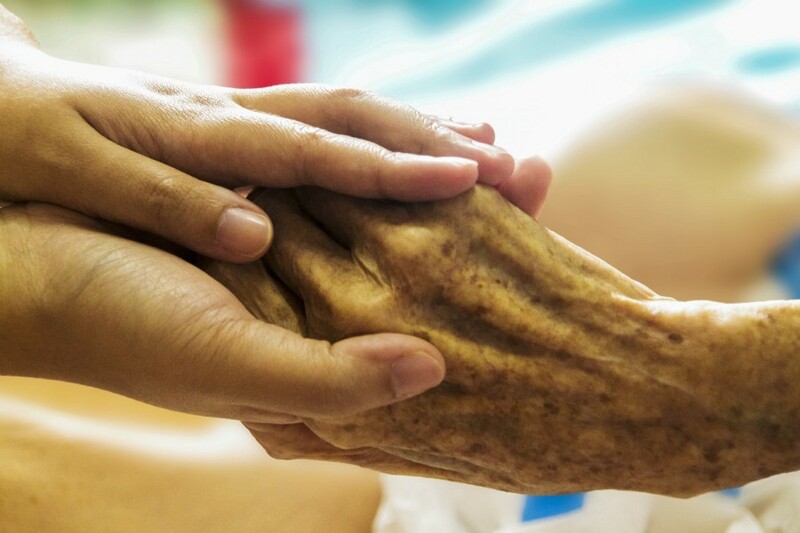 Caregiving for the elderly begins at birth, and is part of the life cycle. Stating the obvious, I know, but we still end up asking “why me?” when the day arrives — the day of the diagnosis, the day we didn’t plan when thinking ahead about college, career, marriage, kids, and retirement — the day when the person who took care of me, who always took care of herself, is now vulnerable: a baby all over again. As I evolved into the role of caregiver, I was sometimes confused, angry, and bewildered: “nobody taught me how to do this,” I thought. I never paused, between one crisis and the next, to be a witness: I was actually doing the most beautiful thing I have ever done and will probably ever do — also the hardest. Caught up in the minutia of medical management, swept up by anxiety, and hollowed out by grief, I was, nevertheless, in the deepest place of love. Alzheimer’s taught me, its child survivor, to find a depth of compassion within myself that I never thought possible. Alzheimer’s, this condition of forgetting, is a great teacher, and gives us the opportunity to remember what’s truly important. If we’re willing to open our hearts, it also lifts up our capacity to love. As caregivers, we can go through the motions of medical management in two ways: either from a place of love, or one of resentment. Choose love — it’s also critical for self-care. When you first hear about a loved one’s diagnosis, you might, most understandably, shudder with fear, and feel the weight of a unexpected, and daunting journey. It’s also sad, and puzzling: you might already love your patient unconditionally, yet feel a pang of resentment: I didn’t sign up for this. Alzheimer’s, like many diseases, opens up emotional wounds in the caregiver. It’s raw and uncomfortable. And then there’s the laundry, the doctor’s visits, the frustration, the cries in the night. But take heart: Alzheimer’s is a call to love — and that’s the single most important thing you can do for the patient, your family and yourself. A disease may kill the body, but it can’t kill love. When you feel overwhelmed, day to day, remember that if you’re performing duties from a place of love, you’re doing the best you can. Take comfort in your intention. Intention: it may not seem like much, and it’s natural to want to fix everything, cure the loved one, and go back to normal — go back to “work,” when caregiving, is in fact, your work at the moment, even if you don’t clock in conventionally 9 to 5, or get a paycheck. How can I embrace this moment with more ease? How can I deal with tasks that have hurled me out of my comfort zone? Remember that it will pass, and that caregiving for a loved one builds huge escrow in the bank of the heart. In this place of heart-centered care, there is no sickness, and only love. — Originally published on Medium.